I just received a parcel with some retrogaming stuff from Finland. The parcel contains a very strange joystick interface, which I had never seen before. All the stuff in the parcel comes from a Finnish collector. The lot was a computer with peripherals, and everything is 1984-1985. This particular joystick interface does not look homebrew. The casing appears professionally made, also the printings on it are actual factory-made prints, not stickers. 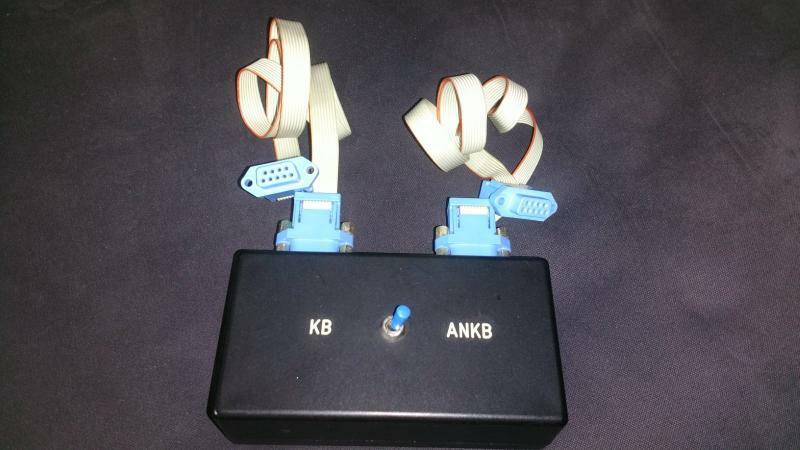 But I can speculate that you connect the interface to 2 female computer joystick ports (for example on the C64 joy ports 1 and 2), and then one joystick to the centre plug (male). Then with the switch, you choose whether you want the joystick to be connected to port 1 or 2. The labels read 'KB' and 'ANKB' - I really have no idea what language it is, maybe Finnish? What would this mean? Anyone has any clue what is the interface, who made it, etc.? 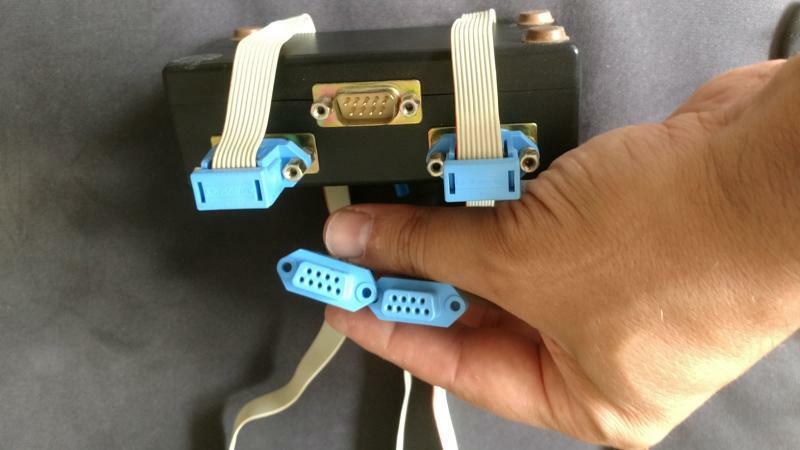 Looks like a serial (rs232) switch box. They were very common in the 1980s. Are the other two ports male or female. Edited by mr_me, Sat Mar 9, 2019 6:00 AM. Edited by MADrigal, Sat Mar 9, 2019 7:08 PM. How 'bout some pics of the inside? I cant open the inside because the 2 parts of the shell are glued. Opening it would mean destroying it. I tend more to think it i for printers (not keyboards) however in this particular case, I believe it was used with joysticks. I am really curious about finding out what's the manufacturer.